Prime Minister Joseph Muscat this morning spelled out the dilemma facing Malta and other creditor countries ahead of the eurozone summit meeting on Greece. "Our position as a country is that we need a solution, but not a solution at any price," Dr Muscat told a One Radio interviewer. "The biggest issue is confidence, we need to be confident that the Greek government keeps its commitments." That, he said, included commitments that the Greek government would introduce taxation on sectors of the economy which are currently untaxed, and the liberalization of sectors where state monopolies or quasi-monopolies prevailed. "We would like to save Greece saved, our red line is that we will not accept a debt write-off," Dr Muscat said. Malta, he explained, had loaned Greece €170 million, which was now equivalent to 2% of GDP. 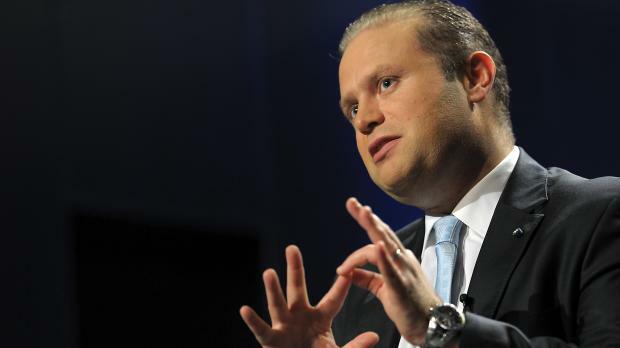 "We want our money back, but we are prepared to be flexible on the terms," Dr Muscat said. Malta was prepared to discuss interest rates and longer repayment periods, but the capital had to be returned. Two considerations faced the eurozone countries, he said. Should they help the patient, which was Greece, recover so that it could start paying back, or should they not pour any more good money after bad, and therefore pull the plug? This, after all, was the third bailout which Greece was requesting, and many commitments made so far had not been kept. It the plug was pulled, the Greek economy would collapse and it would be more difficult for Malta and the other countries to get their money back, although they would still reserve their rights once Greece returned to the markets. The talks would be difficult, and he expected a long day ahead, Dr Muscat said. His interest was to safeguard the national interest, first and foremost, but Malta also had an interest to ensure that the European project survived. He stressed that any new bailout for Greece would not be paid for from national funds, but from the ESM - the European Stability Fund.